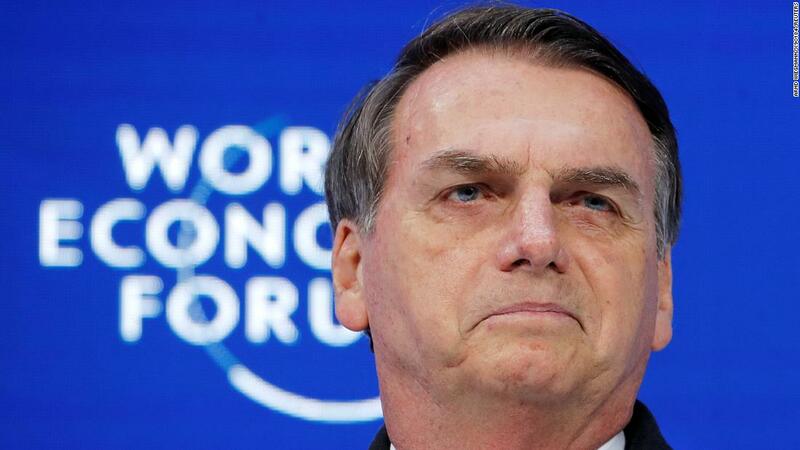 Bolsonaro was sworn as president of Brazil earlier this month after a polarizing election campaign, promising to move the country to the right. In a short speech Tuesday, he outlined plans for a "new Brazil" that would attract waves of foreign investment. 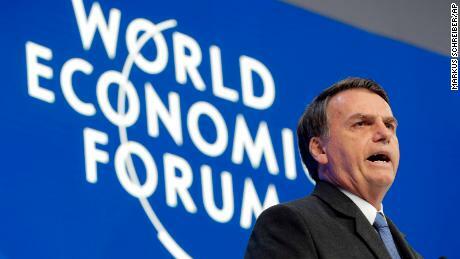 "We will work to lower the tax burden, streamline the rules and make life easier for those who want to produce and run business as entrepreneurs, invest and create jobs," he told a population at the World Economic Forum in the Swiss mountain resort. .
"We must work to promote economic stability while respecting and honoring contracts … and balancing government accounts," he added. Supporters of the former army captain see a no-nonsense leader who wants to tackle corruption and become tough on crime. Opponents fear that his presidency will threaten human rights and ecological conservation in Brazil.